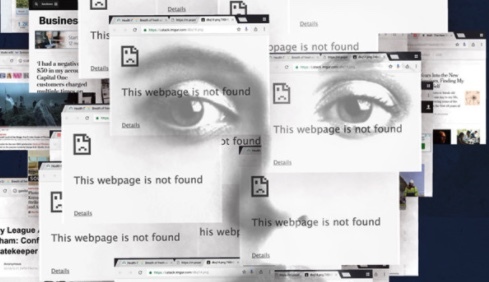 FOIA The Dead is a long-term transparency project that uses the Freedom of Information Act (FOIA) to request information from the FBI about the recently deceased. That law requires certain government agencies to produce records upon a request from the public. One significant exception to that requirement is that, to protect the privacy of individuals, federal agencies may not release information about living people. But after their death, their privacy concerns are diminished, and those records can become available. A project of the Freedom of the Press Foundation, written and maintained by Parker Higgins, FOIA the Dead is here. As we look to our legacies, we might recall that it was on this date in 2010 that the largest hailstone in (recorded) U.S. history fell in Vivian, South Dakota. Weighing 1 lb 15 oz, it was 8.0 inches in diameter (18.6 inches in circumference. It broke the former U.S. record set on 3 Sep 1970 in Coffeyville, Kansas by a stone weighing 1 lb 11 oz that had a 5.7 inch diameter. A larger hailstone– 2 lb 4 oz– is said to have fallen in Bangladesh on April 14, 1986 in a hailstorm that killed 92 people. As we support our local journalists, we might recall that it was on this date in 1851 that Harriet Beecher Stowe‘s anti-slavery serial, Uncle Tom’s Cabin, or Life Among the Lowly, starts a ten-month run in the National Era, an abolitionist newspaper. In the margins of his copy of Condorcet’s treatise Outlines of an Historical View of the Progress of the Human Mind, President John Adams scribbled a cutting note. 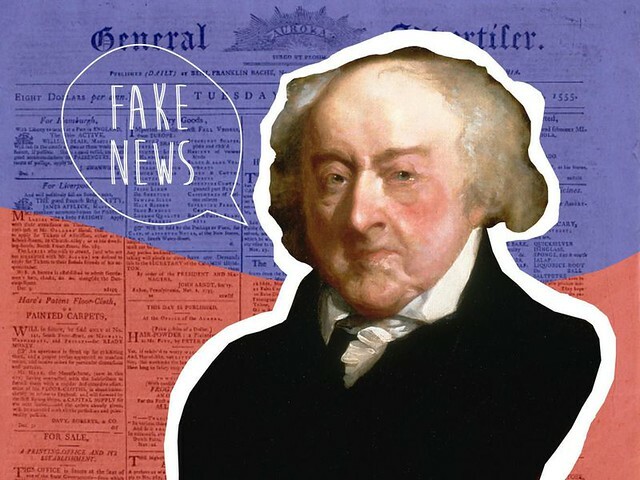 Writing in the section where the French philosopher predicted that a free press would advance knowledge and create a more informed public, Adams scoffed. “There has been more new error propagated by the press in the last ten years than in an hundred years before 1798,” he wrote at the time. The charge feels shockingly modern. Were he to have written the sentiment in 2018, and not at the turn of the 19th century, it’s easy to imagine that at just 112 characters, he might have tweeted it, instead. While Chinese monks were block printing the Diamond Sutra as early as 868 A.D. and German printer Johannes Gutenberg developed a method of movable metal type in the mid-1400s, it took until the Enlightenment for the free press as we know it today to be born. As we ferret out the facts, we might recall that it was on this date in 1593 that Christopher Marlowe, the foremost Elizabethan tragedian of his day (and a powerful influence on Shakespeare), was indicted by the Privy Council for heresy on the basis of testimony (probably elicited by torture) from Marlowe’s roommate, fellow dramatist Thomas Kyd. Marlowe (who was in fact an atheist and seems likely to have supplemented his income as a spy) was subsequently arrested, but was able to use his connections to arrange bail. While out he became involved in a fight– ostensibly over a tavern bill, but believed by many to have been a set-up– and was stabbed to death. 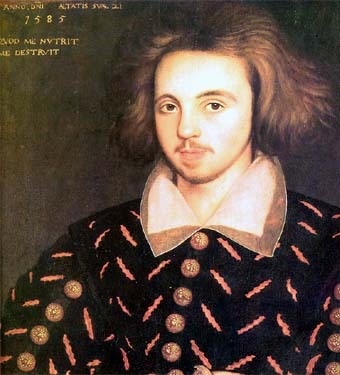 The 1585 portrait discovered at Corpus Christi College, Cambridge, in 1953, believed to be of the 21-year-old Christopher Marlowe. The inscribed motto is “QVOD ME NVTRIT ME DESTRVIT,” “that which nourishes me destroys me.” Indeed. When an online news outlet goes out of business, its archives can disappear as well. A new front in the battle over journalism is the digital legacy of the press. 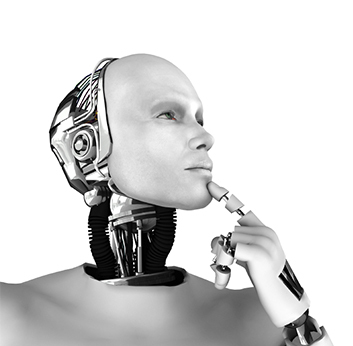 For years, our most important records have been committed to specialized materials and technologies. For archivists, 1870 is the year everything begins to turn to dust. That was the year American newspaper mills began phasing out rag-based paper with wood pulp, ensuring that newspapers printed after would be known to future generations as delicate things, brittle at the edges, yellowing with the slightest exposure to air. In the late 1920s, the Kodak company suggested microfilm was the solution, neatly compacting an entire newspaper onto a few inches of thin, flexible film. In the second half of the century, entire libraries were transferred to microform, spun on microfilm reels, or served on tiny microfiche platters, while the crumbling originals were thrown away or pulped. To save newspapers, we first had to destroy them. Then came digital media, which is even more compact than microfilm, giving way, initially at least, to fantasies of whole libraries preserved on the head of a pin. In the event, the new digital records degraded even more quickly than did newsprint. Information’s most consistent quality is its evanescence. Information is fugitive in its very nature. 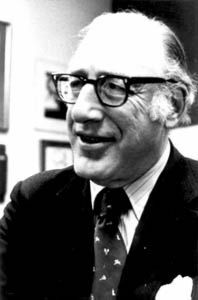 As we ponder preservation, we might spare a thought for Fred W. Friendly (born Ferdinand Friendly Wachenheimer); he died on this date in 1998. A journalist and producer, he was a driving force behind the rise of CBS News, where he was responsible for See It Now (with Edward R. Murrow) and CBS Reports. Friendly became President of CBS News in 1964, but resigned in 1966, when the network ran a scheduled episode of The Lucy Show instead of broadcasting live coverage of the first United States Senate hearings questioning American involvement in Vietnam. After CBS, Friendly became a consultant on broadcast to the Ford Foundation, where he was instrumental in laying the groundwork for the American public broadcasting system. As head of the New York City Cable TV and Communications Commission, he originated the idea of the public access channel. Later, he took a position at Columbia School of Journalism, where he strengthened the school’s broadcast curriculum and authored a number of books. 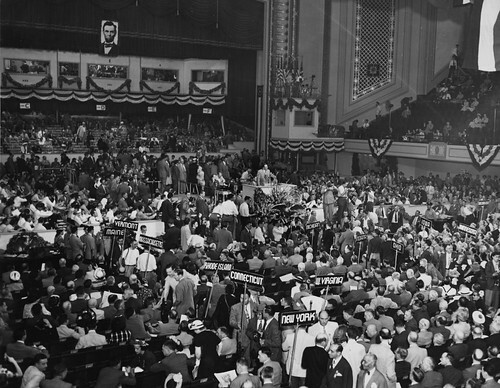 On June 20, 1948, a round and no doubt rumpled correspondent for the Baltimore Sun looked into the galleries of a Philadelphia convention hall and spotted the future. 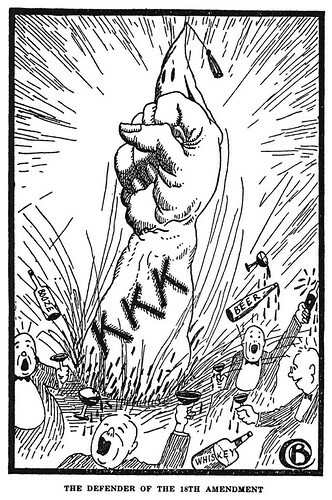 His name was Henry Louis Mencken, and he didn’t like what he saw. It was the day before the Republican National Convention, and in a rehearsal of the proceedings technicians had turned on huge lights to accommodate television, a new presence at political conventions. In the dramatically increased glare, Mencken could see what these quadrennial political gatherings would become, and what they’ll be this summer, as another season of political conventions arrives in America: a pageant of images, in which what candidates say or do is perhaps less memorable than how they look. 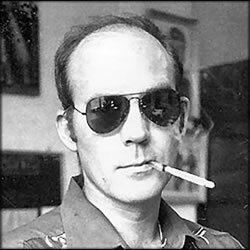 As we vote our consciences, we might we might send acerbic birthday greetings to one of Mencken’s heirs, journalist and author Hunter S. Thompson; he was born in Louisville on this date in 1929. The author of Hell’s Angels, Fear and Loathing in Las Vegas, and Fear and Loathing on the Campaign Trail ’72 is widely credited as the creator of the Gonzo school of journalism (an extreme form of New Journalism in which the reporter isn’t simply present, he/she is central), and widely remembered for his love of inebriates and guns, and for his hate of authoritarianism in general and Richard Nixon in particular. …the massive, frustrated energies of a mainly young, disillusioned electorate that has long since abandoned the idea that we all have a duty to vote. This is like being told you have a duty to buy a new car, but you have to choose immediately between a Ford and a Chevy. 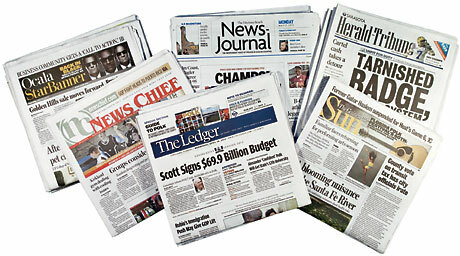 Every day, tens of thousands of publishers report the news world wide. 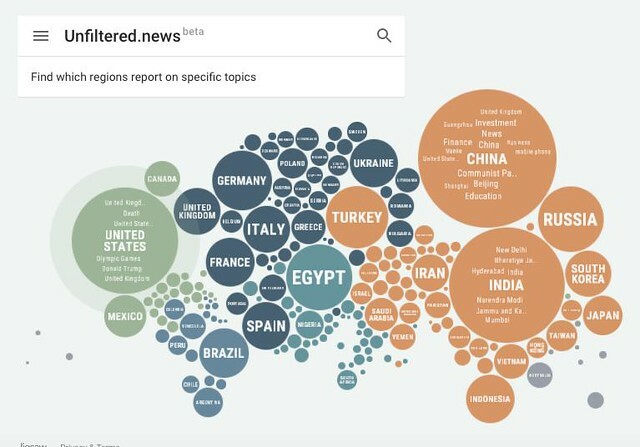 Unfiltered News allows you to explore Google News data across all publishing languages and locations to find important global stories and perspectives that may not be covered in your location. Discover which locations report on similar topics, compare different perspectives on an issue, and track issue coverage over time. 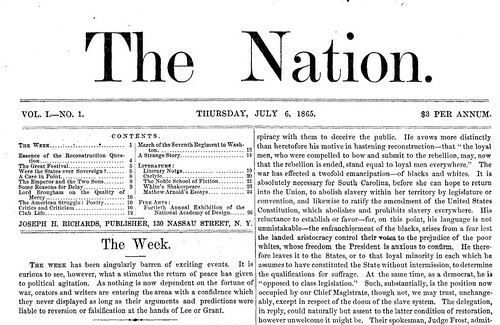 As we agree with Alan Kay that “a change in perspective is worth 80 IQ points,” we might recall that it was on this date in 1865 that The Nation— the oldest continuously published weekly magazine in the U.S.– was launched. 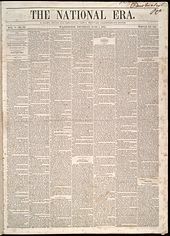 A successor to William Lloyd Garrison‘s anti-slavery publication The Liberator, it became the most widely read weekly journal of progressive political and cultural news, opinion and analysis. 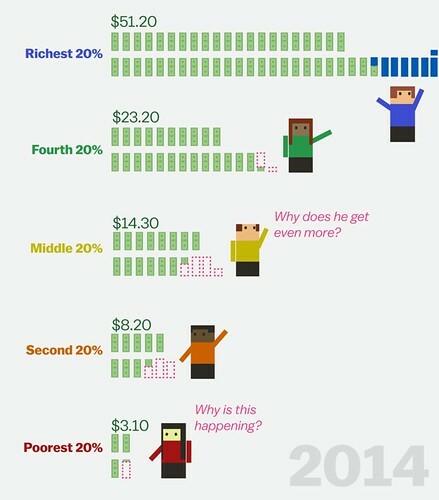 Something massive and important has happened in the United States over the past 50 years: Economic wealth has become increasingly concentrated among a small group of ultra-wealthy Americans. You can read lengthy books on this subject, like economist Thomas Piketty’s recent best-seller, Capital in the Twenty-First Century (the book runs 696 pages and weighs in at 2.5 pounds). You can see references to this in the campaigns of major political candidates this cycle, who talk repeatedly about how something has gone very wrong in America. Hearst parlayed his power as a publisher into a career in politics, serving two terms in Congress, then losing a series of elections (for Mayor of New York City, twice, and for Governor of New York State). 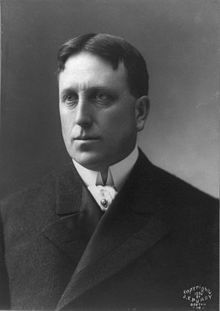 An early supporter of Franklin Roosevelt, Hearst became one of his staunchest– and loudest– opponents. Hearst’s life was the inspiration for Orson Welles’s classic film Citizen Kane. As we polish our people skills, we might recall that it was on this date in 1876 that Seth Thomas was granted a patent on something that we may no longer need– an alarm clock. U.S. patent No. 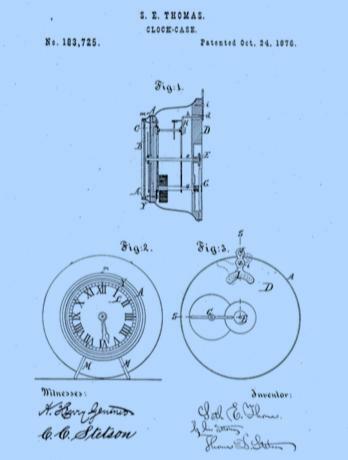 183,725 was issued for the metal case of a one-day back-winding alarm clock, the first American patent for an alarm clock of this familiar type. 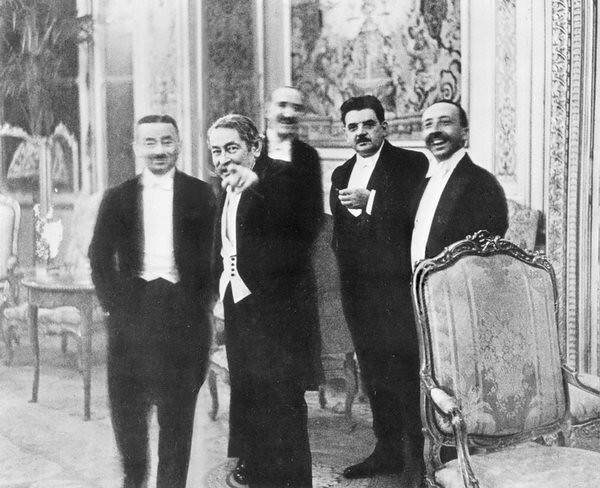 One of the founding figures of photojournalism, Erich Salomon pioneered the use of hidden cameras—the phrase “candid camera” was first applied to him. A 1924 Ermanox equipped with glass plates and a relatively fast shutter speed, concealed in bowler hats and briefcases—and, in one memorable occasion, in bagpipes—allowed him to take photographs in places where they were strictly prohibited: in the casinos at Monte Carlo or at criminal trials. 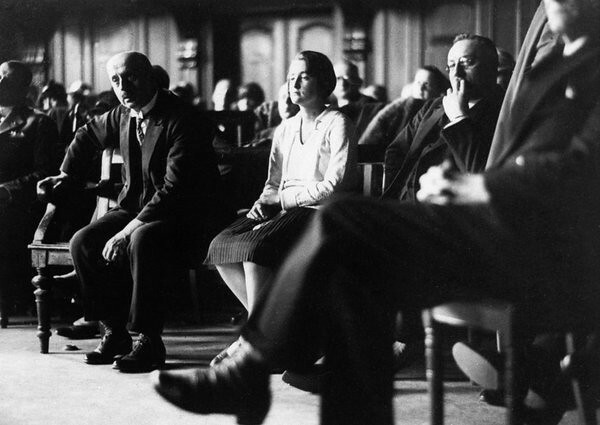 With a camera hidden in a sling, Salomon was the first photographer to take pictures of the United States Supreme Court in session.